A roasted turkey yields a beautiful broth, fragrant and rich in flavor with a beautiful golden color. You can sip it on its own or use it as the base for soups made with leftover turkey meat. A glug of wine tipped into the cooking pot not only gives Turkey Bone Broth a lovely flavor, infusing it with just a hint of acidity. That acidity helps to breakdown the collagen in the turkey’s frame, transforming it to gelatin which gives a well-made turkey bone broth an incredible, luscious and silky texture that’s perfect for sipping on its own, or using as a base to make soups or sauces. You can make turkey bone broth both on the stove using a stock pot or using an electric pressure cooker. I prefer to use my Instant Pot when making turkey bone broth, or any bone broth, because it is fast, clean, and efficient. If you’re making turkey bone broth on the stove using a stock pot, you’ll bring the pot to a boil and then immediately turn down the heat to maintain the broth at a low, even simmer. This helps to extract the collagen from the bones and joints and provides a more consistent gel than does overboiling the broth at high heat; moreover, a long and slow simmer keeps your stock clear and its color golden instead of pale and milky. If you’re making turkey bone broth using an electric pressure cooker, like the Instant Pot, you don’t need to worry about cooking temperatures; rather, just pressure cook the bones, water and wine, and then let the pressure release naturally. You will have a nice clear broth with plenty of gelatin. Many broth makers add vegetables to their bones when they make broth, but you’ll generally make better broth if you skip the vegetables and herbs and simply keep your broth to three ingredients: leftover turkey bones, water and wine. With the prolonged cooking required of broth making, vegetables tend to break down and can leave your broth with a subtle (or not-so-subtle) flavor of overcooked vegetables. Carrots will tend to overly sweeten the broth and leafy greens can leave bitter notes. If you still want to add vegetables to your broth, consider adding them in the last half hour of cooking rather than at the beginning. They’ll give the broth a fantastic flavor, but won’t break down enough to leave it tasting overcooked or too sweet. Adding herbs to the broth as it cooks can give your broth incredible flavor, but only if those same herbs are compatible with the dishes you’ll make using the broth. 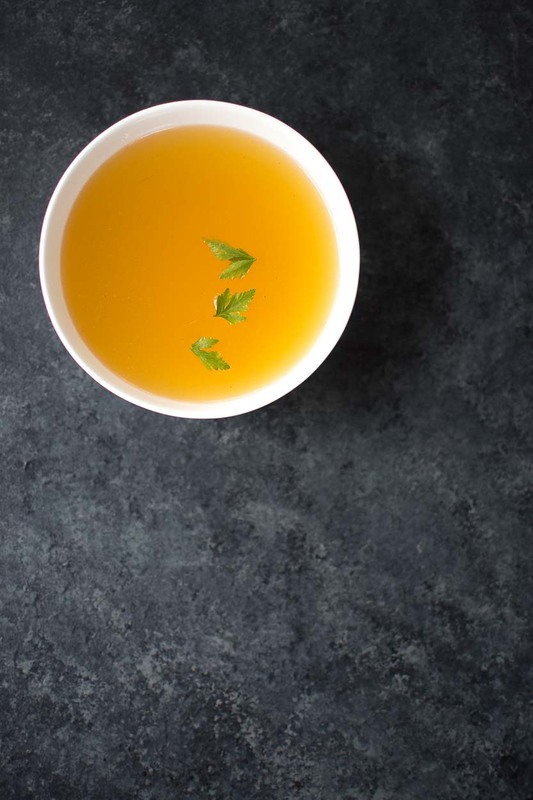 Using a bone broth that has been simmered with thyme and bay isn’t a great option if your making an Asian-inspired soup. 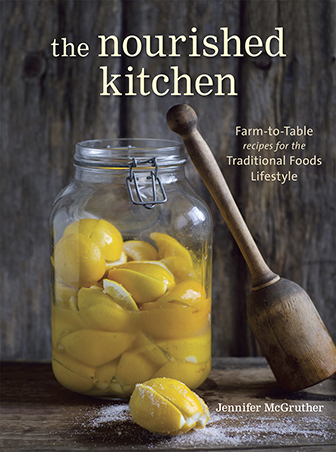 Stocks and bone broths play a fundamental role in the traditional cooking of people throughout the world. Not only are they easy and inexpensive to make, but they help to combat food waste by providing an outlet for food scraps and unusable cuts that might otherwise go to waste. They are also particularly rich in vital nutrients like gelatin, an easy-to-digest protein. Traditionally broths and stock are used to nurse the ill and the convalescent owing, and researchers have found that broth made from chicken bones really does help ease symptoms illness, particularly upper respiratory infections (1). Place the turkey bones and wine into a large stock pot, cover with water by two inches, and then bring to a boil over medium-high heat. Immediately turn down the heat to medium-low, and keep at a bare simmer for 4 to 6 hours. Strain the broth and serve immediately or store in the fridge for up to 1 week, or the freezer up to 6 months. Make your Turkey Bone Broth in the Instant Pot. Place your turkey bones into an electric pressure cooker with the wine, cover with water. Pressure cook for 90 minutes. Let the pressure release naturally for 10 minutes. Bone broths are easy to make, particularly in an electric pressure cooker, and powerfully nutritive. You can get more nutrient-dense and wholesome recipes like this one in my cookbook Broth and Stock from the Nourished Kitchen. 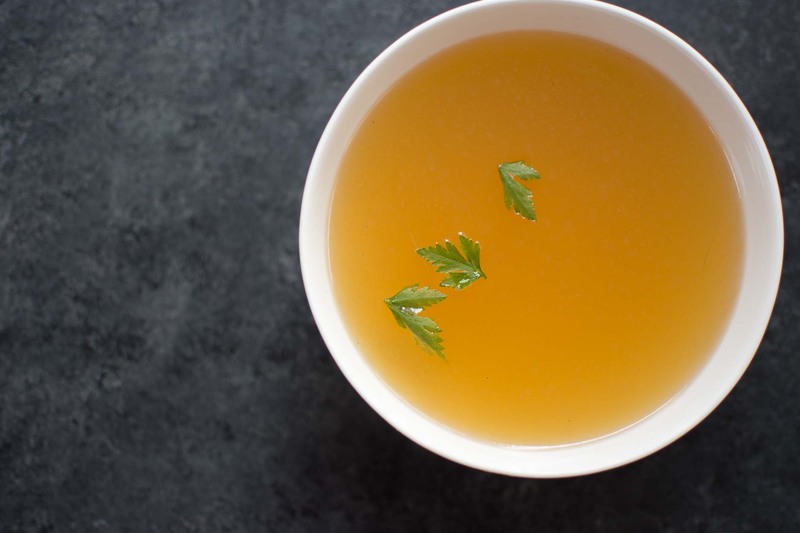 Bone broths and soups, like this Turkey Bone Broth, can be powerfully nutritive and are wonderfully welcome food, particularly during the cold and dark months. 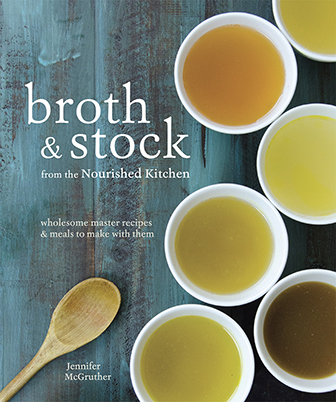 You can find all our recipes for soups, broth and stews here, and check out my cookbook on Broth and Stock here. Mineral-Rich Sipping Broth is an easy-to-make broth made with not only bone broth, but also mineral-rich vegetables and tahini. It’s creamy, and perfect for sipping. Yucatan Lime Soup is a traditional Mexican chicken soup dressed with rice, avocado, cotija cheese and tortillas and seasoned with chiles and lime. Slowcooker Chicken Soup is super easy to make, you can just toss the ingredients together in a slow cooker in the morning and come home to an incredibly delicious soup. Homemade Cream of Chicken Soup is nothing like the canned stuff. Instead it’s flavored with vegetables, fresh herbs and thickened with egg yolks and cream for an incredibly rich and satisfying soup. Would this work in a crock pot?? ?